Hooray! 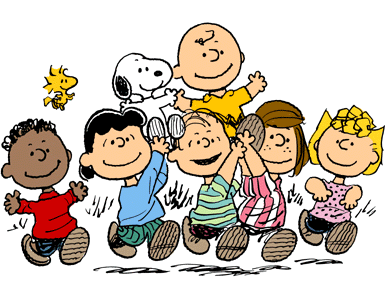 The Peanuts gang is back in Project Linus! This fabric collection stars Linus, Snoopy, Woodstock and Linus' beloved blanket. There are several good reasons to enjoy this new fabric from Charles Schulz's classic characters. A lot of you may be aware of the organization Project Linus, which aims to "provide love, a sense of security, warmth and comfort to children who are seriously ill, traumatized, or otherwise in need through the gifts of new, handmade blankets and afghans, lovingly created by volunteer 'blanketeers.' Hence the name, Project Linus. Quilting Treasures has created our favorite Peanuts fabric to date in support of this mission. Part of the proceeds from this fabric collection from Quilting Treasures will go toward the organization, so you can feel good about purchasing and sewing with this fabric. Beyond the charitable aspect of Project Linus, we are dazzled by the fabric itself. The print we love most is the Linus Patches which features the little fellow in over-sized stars and boxes. In all of our Project Linus quilts (one we can't show you just yet - more on that to come!) this print looks excellent as a focal block or in the border. Snoopy and Woodstock make excellent complements, and the group is rounded out with fun, bright coordinates. The confetti toss prints would go well in any bright quilt! 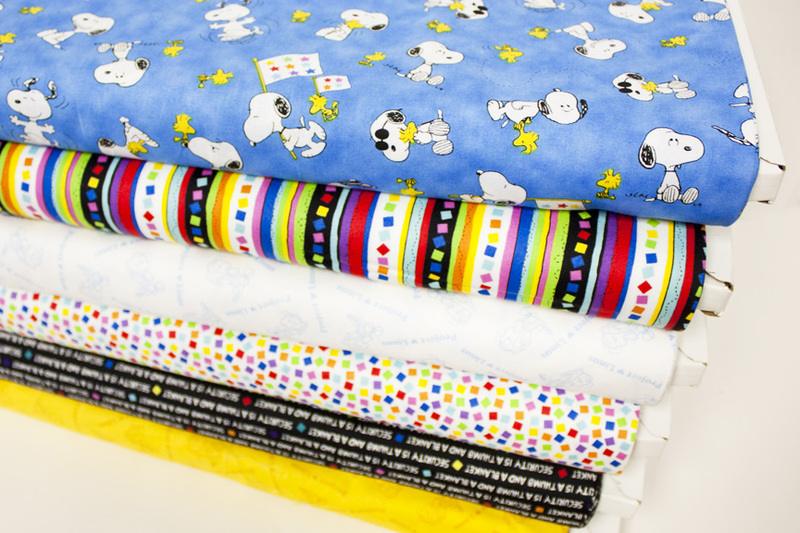 We have the full line in stock as well as the kit for Quilting Treasures' Nighty Night quilt. Are you planning on making anything for yourself or for a Project Linus donation? If you do, please show us!